Brand new contemporary single storey villa with 3 bedrooms on a 770 m² plot. 2018 is a great time to invest in French property, as house prices remain low as do mortgage rates. Although France is known for its many old, heritage properties, there are also a good number of contemporary homes on the market. Interest in contemporary and uniquely designed properties has increased partly due to the influence of popular property programmes, like Channel 4's "Grand Designs" (Most Popular TV Programmes about French Property). 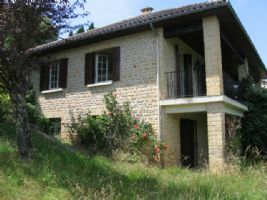 Several "Grand Designs" shows have centred on properties in France, highlighting the possibilities. What does contemporary property offer? Contemporary houses have clean, modern lines, up to date (often state of the art) fixtures and fittings and offer a low maintenance lifestyle. Many have large, floor to ceiling windows to make the most of the stunning views of the French seaside, countryside and mountains. Contemporary properties are often far more environmentally friendly than older properties. They have been built since architects gained a better understanding of environmental issues, and the designs and build quality of these properties reflects this. 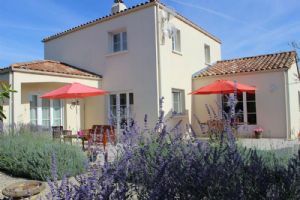 Take, for example, our stunning property in Languedoc-Roussillon (Languedoc-Roussillon Property Guide). As well as being environmentally friendly, contemporary homes often offer solar heating, so they are not just "green" but save money too (Green and eco friendly building in France). And however modern the design, contemporary property can blend harmoniously with the landscape. Up to date building methods combine with local materials to create the most exciting architecture and produce truly unique homes. Here, ten of the best contemporary properties currently on the market in France are listed. Dordogne Périgord Noir: Contemporary stone house with large balcony and great views dating from 1960 on the outskirts of the pretty medieval town of Sarlat La Canéda; around 117 m2 of living space on two floors and the possiblility of making two separate apartments; all set in around 1000 m2 of mature grounds. Period features and a contemporary touch has been used to create a spacious, character home in this farm/barn conversion making intelligent use of the many period features. The house features open living areas and 6 bedrooms in all. 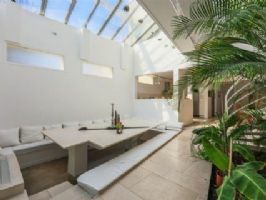 In the heart of Perpignan, in a sought-after part of this beautiful Mediterranean city, this is an amazing Town House of 123m² mixing elegancy and contemporary designed interior. 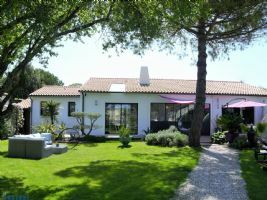 Built on a plot of 145m², it is split into 2 different areas : the first one being the main with 2 bedrooms, a shower room, an open plan equipped kitchen leading on the patio, a spacious and bright living area. Walking distance to beach (15 mins) shops, restaurants and port (25 mins) A modern, spacious and open plan home designed by the owner and constructed in 2009. This elegant property provides comfortable living space with a master bedroom and en suite on the ground floor and two further bedrooms with en suites on the first floor. 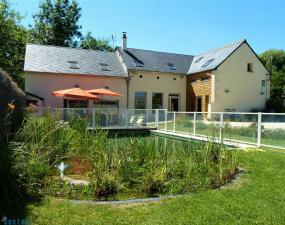 Ideally located between Tours and Amboise, in the vineyards of Vouvray, in the heart of a small village, this old building has been completely renovated with taste and care to become a beautiful contemporary house, working today in tourist cottage, which can accommodate up to 15 people. Known as a favorite place for holidaymakers, the house is set on a 720sqm garden enclosed by stone walls, with a spacious wooden terrace and a secured natural swimming pool. Character property for sale near Annecy Lake in Haute-Savoie is located a stone's throw from top attractions such as Annecy, Courchevel, Chamonix Mont-Blanc, Megeve and Geneva. A subtle blend of authentic and contemporary, this renovated farmhouse enjoys a prime location suited to tourist activities. An easy transformation in guest rooms or flats can easily be envisaged in order to create rental properties, gites or bed and breakfast. 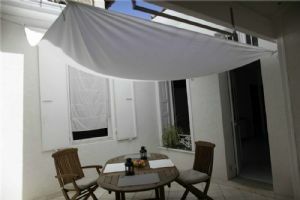 8 Minutes from central La Rochelle, 5 minutes from Aytré beach. Beautiful property, high quality construction blending historic charm, contemporary decor, comfort and low energy consumption. 206M2 single-story house, plus a 75M2 fitted half basement. Comprising: 15m2 entrance hall with veranda, 90m2 living area: kitchen, dining room, lounge, living room with fireplace opening onto a 24m2 veranda. 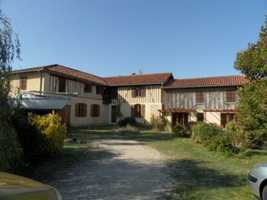 Office, 3 bedrooms (between 12.7m3 and 23m2) inc. one with private wash room and toilet. 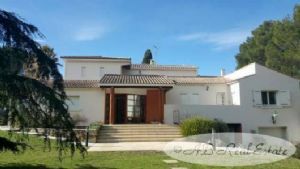 Large contemporary villa with panoramic views set in a peaceful domain near chateau Tournon close to the village of Montauroux. The villa offers 265m2 of living space with a large living/dining room with fireplace and large windows opening on to the terrace and pool facing south, a modern fitted kitchen, utility room, three bedrooms, a bathroom and separate toilet. Build in 2004 across 2 stories with quality materials, this prestigious residence boasts an expansive living room with a winter garden, opening onto a 107m² wooded terrace garden, 5 bedrooms and 4 bathrooms including a 39m² master bedroom A rooftop terrace, two garages and a basement complete this property. Situated on the Right Bank of the River Seine, the 11th district is one of the most densely populated urban districts not just of Paris but of any European city.